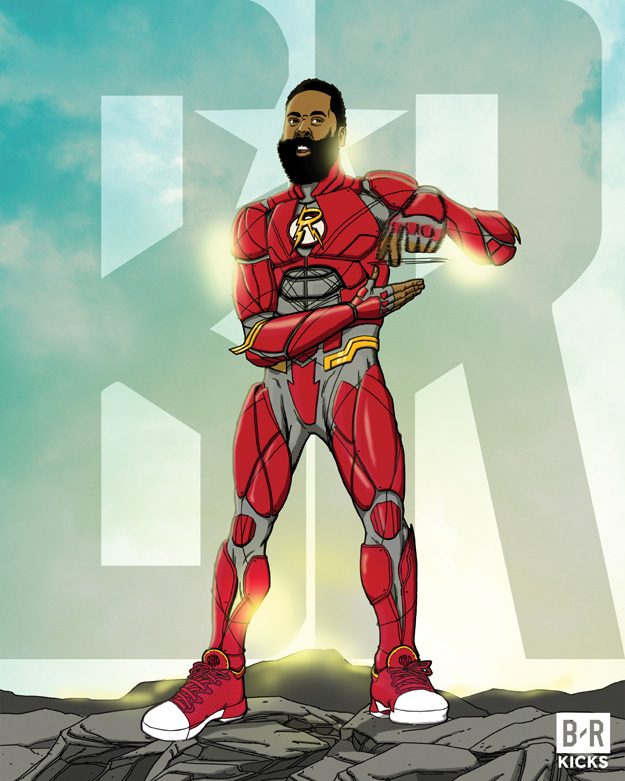 Here’s my illustration of The Flash / James Harden mashup. It was inspired by The Flash Justice League movie poster. I affectionately referred to this piece as “The Flash Harden”. He’s wearing the Adidas Harden Vol 1 “Home” colorway. The outfit’s color scheme is based on the Rocket’s red, silver, and mustard colors. He’s doing his signature “Stirring the Pot” gesture, as he’s known to do in games. The Rockets logo is blended with The Flash logo on his chest.